After a weekend when I was celebrating my 15th birthday it's time to thank all my friends and family for this amazing time. I'm so happy, because of amazing gifts and I have a great memories. Thank you very much !!! I'm officially 15 ! This year's gift's were so gorgeous ! Thanks to my parent's for this amazing Macbook pro !!! Of course a beautiful watch from my auntie is very stylish too. Silver and snake skin, it's so so lovely. i promise that I will compare it with my outfit's very often. Everybody know that I love jewels so much !!! So thanks for this amazing, so cute little pieces. they are very beautiful. Especially this earrings Dior inspired. they are so pretty and stylish. My very first CHANEL lipstick in beautiful burgundy color. It's perfect for me and soon I will show it on the blog. There are funny gifts too. for example this rainbow fur pen. Hahhaha I have the best pen under the sun. It's the craziest school accessory I've ever seen. And of course Wreck This Journal. Is anything better than creative destruction ? It's amazing, isn't it ? And cake. It was the best surprise in my life, when my friend gave me a big box. 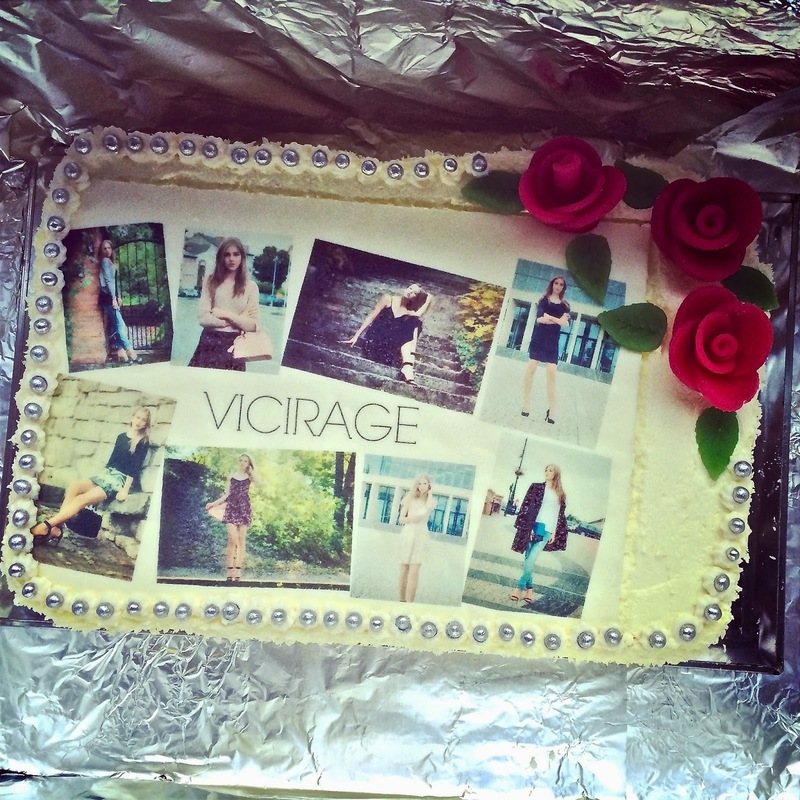 I opened it … and inside was VICIRAGE inspired cake ! It was delicious and what's the most important beautiful ! It was breathtaking thank you !! I love you !